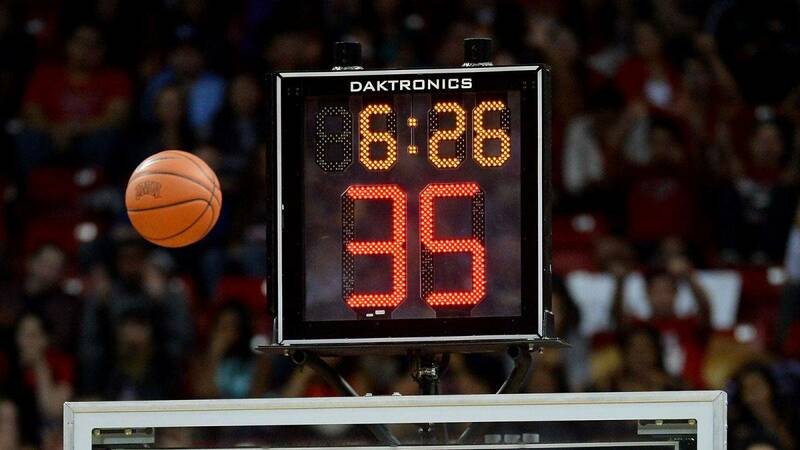 All of South Dakota high school basketball will use a shot clock in the near future. 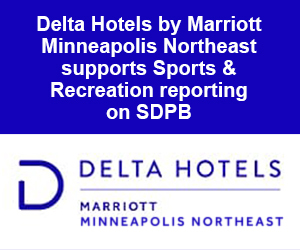 The change was approved during the South Dakota High School Activities Association meeting this week. Currently, Class B girls and boys basketball does not have a shot clock, but that will change in the fall of 2017. As Jerry Palleschi of ESPN 99.1 in Sioux Falls reported earlier, some Class B schools have already experienced playing with a shot clock (holiday classics, small tournaments, and road games against a Class A opponent). The addition of a shot clock will take away multi-minute team possessions - an issue that has been debated in South Dakota for a while between fans, coaches, and players. One of the biggest challenges of adding a shot clock, and an aspect that has led to some opposition of this proposal, is the financial side of the equation. While some schools may already have the capabilities of adding a shot clock fairly easily, some schools may not. And adding this technology to high school gymnasiums can be expensive. The SDHSAA committee voted in favor of implementing the new rule 7-0. Class B Activities Directors also voted on the proposal, and they too heavily favored the change with a 48-21 vote.